Ouellet, Henri. "Shrike". The Canadian Encyclopedia, 04 March 2015, Historica Canada. https://www.thecanadianencyclopedia.ca/en/article/shrike. Accessed 24 April 2019. Shrike is the common name for the family Laniidae of singing birds. The shrike often impales its prey on a thornbush or a barbed wire fence before eating it (Corel Professional Photos). Sound of the shrike (press the Sound button) courtesy Monty Brigham, Bird Sounds of Canada. Shrike is the common name for the family Laniidae of singing birds. The family, which includes 30 species, ranges widely in Africa, Europe, Asia and North America. The only 2 species found in Canada, loggerhead and northern shrike (Lanius ludovicianus and L. excubitor), are both migratory. Shrikes range 15-37 cm in length. Plumage is mainly grey or brown above; white or light coloured below. Wings are black; the long tail is black and white. Both Canadian species have a bold black mask across the eyes. The black bill is strong, hooked, and toothed in many species (as in birds of prey). Legs and feet are strong with sharp claws. 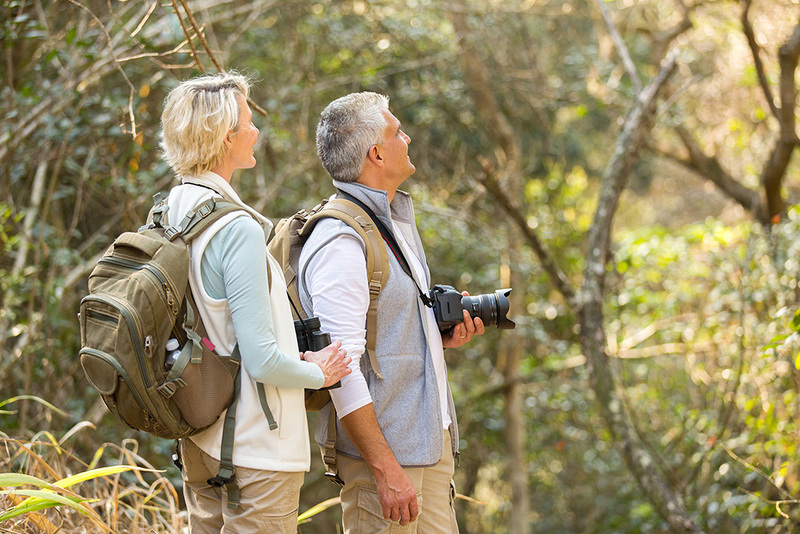 Shrikes are perching songbirds, with a great variety of notes; Canadian species have a melodious song. 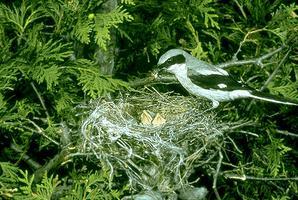 Shrikes are solitary except during nesting season. Both parents co-operate in building a deep, bulky nest, usually in trees or bushes. 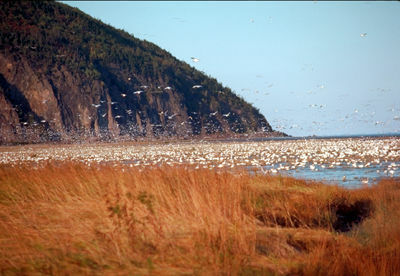 The eggs (2-8) are incubated by the female, with assistance from the male in some species. Young are fed by both parents. Shrikes are predators, feeding on insects, small reptiles, birds and mammals. 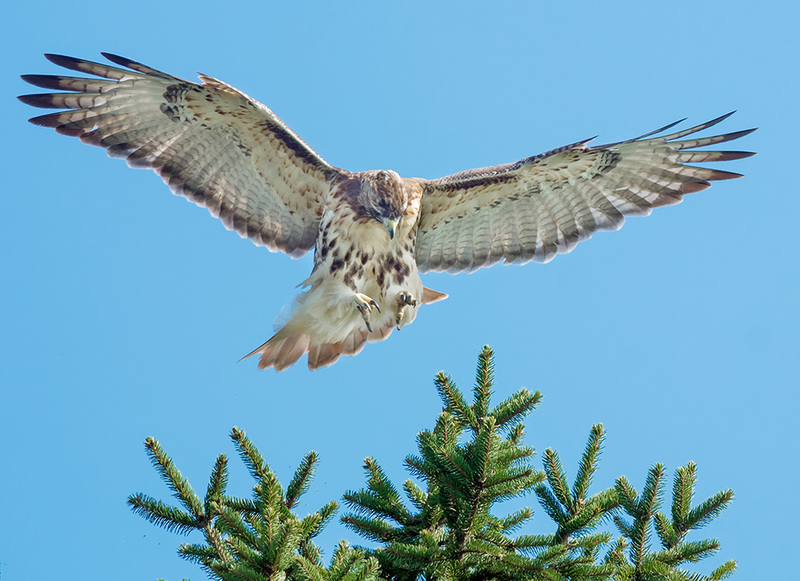 They watch for prey from exposed perches and are bold and aggressive, attacking swiftly. They carry their prey away, often impaling it on thornbushes before eating. 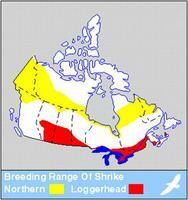 Loggerhead ShrikeSee a description of the natural history and typical habitat of the Loggerhead Shrike in Canada. From the "Hinterland Who's Who" website. Also includes video clips, summaries of related conservation issues, and educational resources.